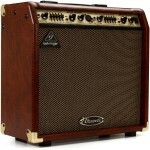 The Behringer Ultracoustic AT108 Acoustic Combo Amp is a compact 2-channel, 15W amplifier specia.. 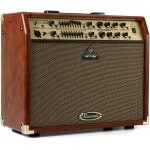 This is One Feature Packed Amp! Amplify your acoustic and control feedback at the same time with ..
A Two-channel Bargain Amplify your acoustic and control feedback at the same time with the Behrin.. 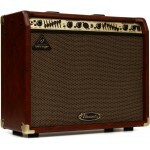 This Little Amp is a Big Value Amplify your acoustic and control feedback at the same time with t..